Alpinist magazine, Issue 22, features long-time climber, photographer, AAI guide, and adventurer extraordinaire Alan Kearney. In his article, entitled "Life on Top," Alan describes his evolving relationship with the outdoors throughout his 40+ years of climbing and exploring around the world. To learn more about Issue 22, check out the Alpinist's site. To read a little about the article and see photos that didn't make it, click here. View Alan Kearney's photography website: www.alankearney.com. Alan is currently back in Patagonia with another AAI guide, Erik Johnson, for an attempt of Cerro Poincenot, one of the peaks in the Cerro Torre massif. AAI Program Coordinator and Guide, Coley Gentzel, comments on this important aspect of alpine climbing. In the mountains, speed is often thought of as safety. Reducing your exposure to the alpine elements and the darkness, as well as lessening the physical and mental fatigue that creep in towards the end of long days can greatly increase your margin of safety. There are other important advantages to moving quickly and efficiently on long routes as well, such as making it to the burger and beer joint before closing time! AAI’s Assistant Director, Mike Powers, has coined a saying that fits the following concepts exactly. He says, “Everything comes at a cost.” This is applicable on so many levels in alpine climbing, and the concept should be at the forefront of a climber's mind in the pre-, during, and post-climb phases. For example, taking along a waterproof shell on a multi-pitch rock climb has a benefit. It will protect you and keep you warm if the weather turns bad. I think we would all agree this is a good thing. It also comes at a cost. The jacket is extra weight (more effort and time expended), and it takes up valuable space in a pack, which limits space for other important things and possibly requires a larger than otherwise needed pack. 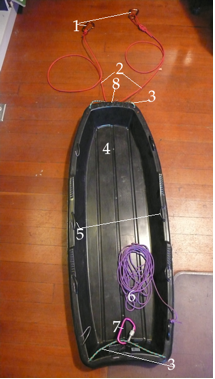 Another example is bringing a super light 9.1 mil single rope on an alpine climb instead of a 10.5 mil fatty has these benefits: it will save weight and pack space, it is easier and faster to coil and stack, and it has less rope drag on long leads. The cost of bringing the 9.1 mil is that thinner ropes stretch more and cut easier, making a catastrophic fall more of a possibility. The question that climbers seeking increased efficiency need to ask is this: "Is the benefit worth the cost?" Sub-factors to consider in trying to determine if the benefit is worth the cost would be 1) the likelihood of a situation, and 2) the consequences of the situation. If getting wet is a matter of safety and survival, and if the likelihood of getting wet is high, then the benefit would likely be well worth the cost. If getting wet is a matter of comfort, and the likelihood is small . . . I think you probably get the idea. In the end, many of the decisions come down to a gamble. Hopefully the gamble is more like the calculated poker player sort of gamble rather than the Russian roulette version. In other words, the more times you make these decisions, analyze the factors, and learn from the outcomes, the better you will get at making future decisions, but there are no guarantees in mountaineering. At this point you must be wondering why I am talking about the decision-making process in a piece that is supposed to talk about becoming more efficient on long routes. The relevance is this, efficiency and effectiveness start at home, in the packing process, and the decisions you make at home will either encourage or inhibit your ability to move quickly once you are on the climb. I want to talk about efficiency in two different contexts, the first will be in strategy and gear selection, and the second will deal with on-route techniques. Speaking generally, your goal in picking a strategy, including selecting the equipment for your climb, should be to take the absolute minimum of gear you need to carry out your affairs safely. For different climbers this can mean different things, even on the same route under the same conditions. I have discussed the subject of “considering your objective” at length in two previous articles (Physical Conditioning for Mountaineering and Expeditions and Footwear). The applicable concepts would be knowing what you are up against with regard to mediums, conditions, and technical difficulty. When I say “strategy,” I mean things like how long you plan to take, how you plan to approach and descend, how the leads will be broken up, etc. The concept of strategy most certainly applies to gear selection, and I will discuss that separately. So to summarize: do you home work on the route first. This means reading guidebooks, more than one if possible, talk to other climbers who have been there (more recently is better), look for reports from recent climbs on the internet, or call a guide service who operates on or near the route you are considering. Use the information that you glean from that process to determine your strategy and plan your gear. This topic can and has filled many volumes, and so I will try and stick to the basic concepts. As I said before, your goal should be to take the minimum about of gear needed to undertake your objective safely. For Dean Potter, safely linking up the Nose of El Cap and Half Dome means carrying six pieces of rock pro, half of a rope, shoes and a chalk bag. Notice I didn’t list “partner.” For me, safely taking on these routes would require a team of at least six climbers, a two to three week effort, a triple set of cams and stoppers, a mountain of aid gear, four loaded haul bags, and a 3000-foot line fixed at the summit just in case. Even then I would stand a good chance at failing, but I would be safe. My point here is that experience, skill, and knowledge all play parts in determining what sort of gear you will need for a given climb. 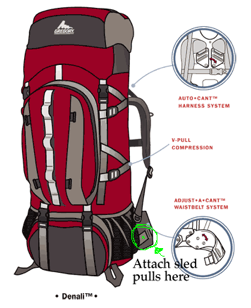 Gear ranges from personal clothing and equipment to the rope and rack you plan to take. Selecting a rack for alpine climbing is the subject of a previous expert tips article (see How to Select an Alpine Rack), and I won’t revisit the specifics here. Once you have your strategy clearly defined and your tools for the job selected, you are ready to hit the road. The concepts described below for efficiency assume a two-person team on a long alpine route where partners are swinging leads. When packing, figure out who is carrying what and how to split up the group gear. Get packed up at your house so that you can hit the trail running, literally if need be. A few minutes of organization and planning at home can put you ahead of other parties at the trailhead or at the base of the route as the other parties collect themselves and sort out their gear. Being first on a long alpine route increases your safety margin in several ways: it reduces the chance for party-induced rockfall and it guarantees you won’t have to spend valuable time waiting for belay stations to clear or for a chance to pass. Predetermine who is going to lead the first pitch and when you are at the base of the climb, get into the belayer-climber roles quickly and carry out your respective duties of stacking the rope and racking up. Countless times I have walked right past parties as they prepare, repack, or sort gear and have as a result gotten first tracks, an open route, and in one case a first ascent in Alaska, which would not have happened unless we were packed, organized, and prepared ahead of time with a plan. It is not discourteous to safely and politely pass slower parties or to start ahead of folks if they are not ready to go. That of course doesn’t mean they won’t shoot you the stink eye or say bad things about your mother as you go by. Just know that it is their frustration with their own lack of planning and envy or yours that makes them mad, no flaw in your approach. On the approach, stay hydrated and avoid over-exertion. Eat before you are hungry, and drink before you are thirsty. Try not to sweat excessively - even better, don't sweat at all. Keep topos, maps, and route descriptions handy and easily readable. Don’t carry more water than you need if you know you will be able resupply quickly and easily. Pee while walking. OK that was just a joke to see if you were paying attention, but hey, if you can pull it off it would save some time. Before you start the route, go to the bathroom, change your layers for the anticipated activity level, eat and drink, and make sure things like food, water, and extra layers are quickly and easily accessible. This may mean putting things in your pocket and clipping them to your harness rather than putting them in the bottom of a pack. Look at the topo, and plan out as many pitches as you can so that you can quickly transition from following to leading and have an idea for what the next pitch involves. On the route, lead as quickly as you can while maintaining safety and control. Route-finding decisions should happen quickly and without error, and you should concentrate on making only the gear placements that you need to remain safe. When climbing together in easier terrain, make use of terrain features for anchors and use long runners. 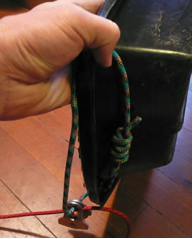 Shortening the rope often allows for easier communication and longer simul climb blocks than using a fully extended or close to fully extended rope. When building anchors, build them as fast as you can but don’t compromise their quality or soundness. 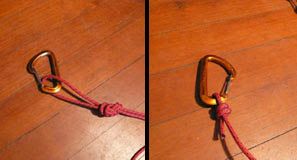 Cordellettes and double length slings make anchor-building a snap and serve many purposes on the mountain. When racking for the next lead, leave the follower with any gear you know you won’t need for a given pitch. That way they have it when they start racking up for the next pitch and you are lighter on the lead. Using a gear sling makes passing gear back and for very fast, but personally I hate them. They get in the way of my climbing, and they are hard to keep organized. I have found that I climb faster and place gear more quickly when I rack on my harness. I use the same makes and models of gear for each climb and rack it the same every time. This system allows me to quickly and easily spot my placement and select the right size of gear instantly. More speed throughout the entire pitch to me is far more important than shaving a minute off of a transition by handing over a gear sling. Partners can trade cordellettes, locking biners, and hands-free belay devices to further increase speed. Eat and drink during these transitions or as they are about to happen. Eating and drinking shouldn’t hinder the process, but rather occur simultaneously. 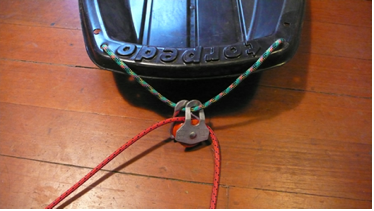 Be meticulous about your rope management. 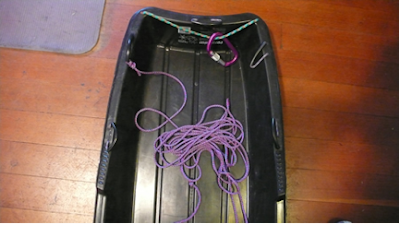 Stack the rope in neat piles on ledges, coil it over your anchor tie-in starting with long loops and ending with shorter loops, and lead out on the correct side of the anchor to avoid twists. An alpine routes I have a hard time relaxing until I know I am out of harm’s way. If I am able to stop for a minute to two, take in the scenery, and look around, it is usually at a belay while paying out rope for a leader or on a quick break on the summit before I get back into “go” mode for the descent. On the descent, again consider the gear you will need to carry out the descent safely. Having done your homework, you will know if your descent is a walk-off, down-climb, rappel, or some combination there of. Using some sort of pre-rigged anchor tie-in like a sling or daisy chain makes clipping into rappel anchors fast, easy, and safe. When rappelling, the first climber to rappel should be prepared to get the next station and start preparing the next rappel. The second climber to rappel should be cleaning backup pieces and be ready to go as soon as the first climber is off rappel. When both are at the next station, one person threads and feeds the rope while the other pulls it down. Throw your rappel ropes first starting with coils in the middle of the rope, and then the ends. In windy conditions, don’t throw the ropes at all but rather feed them out from saddle bags or a similar coil as you rappel. Avoiding the big tangle saves a huge amount of time on the descent. Be prepared for transitions between walking, down-climbing, and rappelling, as well as transitions from one medium to another by having snow, ice, and rock gear easily accessible. 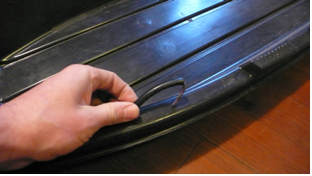 If you don’t know if you will need to rappel, or if you don’t know if you will need the rope again, keep it handy using a backpack coil instead of putting it into a pack. Above all else, feel a sense of urgency and hustle. Back at the trailhead, the pub, or our house is the place to relax, not when you still have miles of trail or thousands of feet of potentially tricky descending to do. It doesn’t take many unplanned and under-prepared bivouacs to inspire that sense of urgency on all future climbs. Save yourself the hardship of that first unplanned bivouc and just and sleep naked in your backyard during a fall rainstorm. Picture that feeling every time you wrack up at the base of an alpine route, and I guarantee your climbing will be fast and effective. Don’t forget to have fun in the process! Former AAI guides, Majka Burhardt and Gabe Rogel (photographer), will be releasing a new book on February 10, 2008. 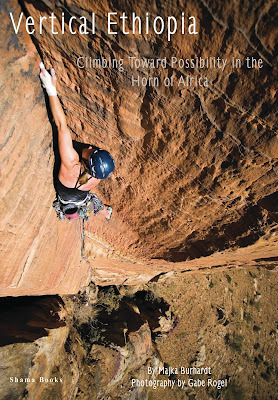 The book, called Vertical Ethiopia: Climbing Towards Possibility in the Horn of Africa, is the narrative of four women's journey in March of 2007 to northern Ethiopia to climb virgin sandstone towers in the Horn of Africa. They explored rock monoliths in a region that is best known for the drought and famine in the 1980's and was the site of one of the bloodiest massacres of the Derg. Majka and Gabe met in 1998 during the AAI guides' training. Majka says, "Back then, we were both more interested in guiding that writing and photography, but that changed through the years and soon we started teaming up on projects. We've worked together in Utah, Corsica France, and then on this project in Ethiopia." We received a call this morning from our guide, Joey Elton, calling from the summit of Aconcagua! Joey and climber Guy Manning reached the tippy top of the western hemisphere at 9am this morning (2pm Aconcagua time), after a six and a half hour push from Camp 2. Nice work guys! To read Joey's full message, please visit our dispatches page. If you are interested in climbing Aconcagua, please send an email to Andy Bourne at abourne@aai.cc, or call 360-671-1505. American Foundation for Children with AIDS, the organizers of the fall climbing event Climb Up So Kids Can Grow Up, appeals to the outdoor industry to help. In the past, the organization had been supported by many outdoor companies, including National Geographic Adventure, MadRock, Black Diamond, and Petzl. Individuals or companies can donate a little as $10 before the end of January, 2008, to give the AFCA a chance to receive a large monetary gift with which we can send half a year's worth of medication to the children in our programs. AFCA hopes that they can motivate between 700 and 1,500 donations to win the grand prize donation from Parade and Case. To donate your $10, please go to www.helpchildrenwithaids.org and click on the donate button to the left. Earn an AAI discount by participating in a climb-a-thon event benefiting kids with HIV/AIDS. The event is called "Climb Up So Kids Can Grow Up" and is put on by the American Foundation for Children with AIDS (AFCA). It is scheduled to take place on both September 20 and 21, 2008. Climbers can choose where to climb and what to climb, whether it be a mountain, a boulder, flights of stairs in a tall building, or a climbing wall. They also decide which level of sponsorship they'd like to achieve and choose from three levels (ranging from $115 to $385). AAI Match: If you participate in this event, AAI will provide a program credit to you that equals half of what you raise for AFCA. You can apply this program credit to an AAI program (applies to U.S. programs excluding Alaska and to South America programs excluding Alpamayo; cannot exceed 10% of the AAI program fee; maximum credit is $500). It's our way of thanking you for your donation or congratulating you on your successful fundraising. Learn more by visiting the event website or by calling the AFCA at (888) 683-8323. Update your address! AAI's 2008-09 catalog will soon be out. 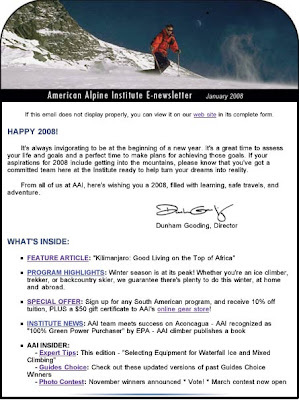 To guarantee the delivery of your 2008-2009 American Alpine Institute Course and Expedition Catalog, please visit our address renew page. As usual, this year's catalog features stunning, full-color mountain photographs from all over the world, so as well as being informative, it is a pleasure to look through! Do you receive our email newsletter? If you do not yet receive our bimonthly E-newsletter (6 issues per year) and you'd like to check out a sample, view our January 2008 edition. 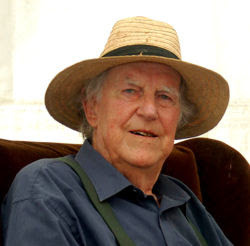 Sir Edmund Hillary, the famous Everest pioneer and do-gooder, died on January 11 at 88 years old. Hillary, along with Tenzing Norgay (who died in 1986), became the first known humans to summit Everest (May 29, 1953). He was a bee keeper from New Zealand, and though his life was filled with huge achievements and adventure, he always remained humble and was very dedicated to giving back to the people of Tenzing's homeland, Nepal, and set up numerous schools and clinics across this region. His death is the loss not only of a great explorer but of an outstanding and generous human being. To read National Geographic's article on Hillary's death, view http://news.nationalgeographic.com/news/2008/01/080110-AP-hillary.html. Coley Gentzel, AAI's Domestic Programs Coordinator and a guide, will be making a presentation on "Ice Climbing in the Northwest and Beyond" this Tuesday at 6pm. The presentation will take place at the Bellingham REI. Interested in learning to ice climb? 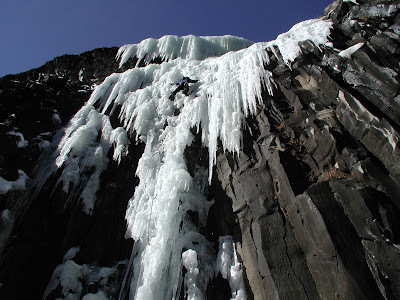 AAI offers intro through advanced waterfall ice climbing programs in the following locations: Ouray Ice Park, Colorado; Lee Vining, California; Banff, Alberta. Please email Coley Gentzel with inquiries on our ice climbing program. AAI's second Aconcagua Expedition of the year is underway. AAI guide Joey Elton and climbers Richard Pedersen and Guy Manning met Monday night and are currently hiking into Base Camp. Stay up to date by checking out our dispatches page and follow Joey, Rich, and Guy as they attempt to climb to the top of the Western Hemisphere. 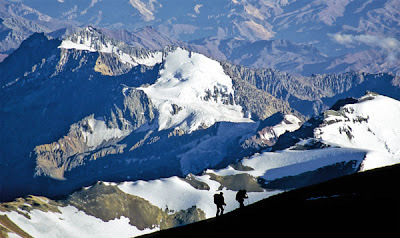 Aconcagua is the world's highest mountain outside of central Asia. It stands at 22,842 feet (6962 meters) in Argentina, just a few miles east of the Chilean border. If you are interested in learning more about our Aconcagua Expedition, please visit our Aconcagua web page and get in touch with Andy Bourne at abourne@aai.cc or at 800-424-2249. 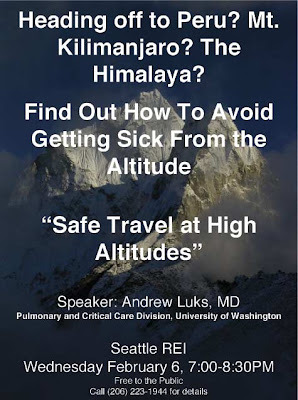 Andrew Luks, MD, will be making a presentation on "Safe Travel at High Altitudes" at the Seattle REI on February 6 (7-8:30pm). Andrew currently works in the Pulmonary and Critical Care Division of the University of Washington, and he is an advisor to the American Alpine Institute. If you are in the area and are interested in the effects of high altitude on the human body, check this out! The presentation is free and open to the public. Questions? Email Coley Gentzel at cgentzel@aai.cc. AAI guides Dylan Taylor and Joey Elton just finished leading an expedition to Aconcagua (22,842 feet). 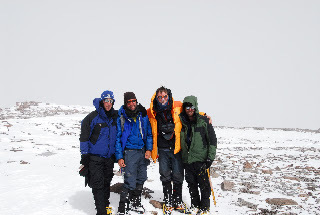 Their team met success and stood on the summit of the Western Hemisphere on December 28. Way to go guys! To read the team's dispatches throughout their 22-day journey, please visit our Current News page. 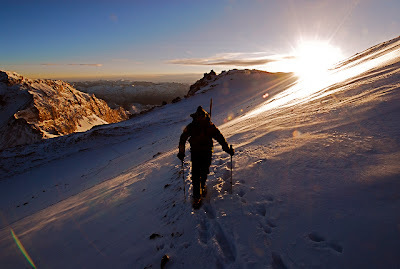 Learn more about our Aconcagua Expedition. 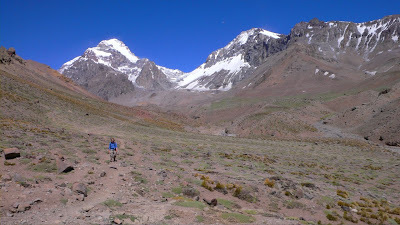 If you are interested in climbing Aconcagua, please get in touch with Andy Bourne at 360-671-1505 or at abourne@aai.cc. 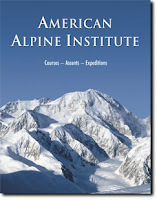 The American Alpine Institute has always been committed to being as green as possible. When the EPA began its Green Power Partnership a couple of years back, AAI was one of the first companies to jump on board. The Green Power Partnership works with a wide variety of leading organizations — from Fortune 500 companies to local, state, and federal governments, and a growing number of colleges and universities. AAI is currently listed on one of the EPA's special ranking lists, the 100% Purchasers List. This list showcases those organizations that are dedicated to buying green power to meet 100% of their U.S. organization-wide electricity use. The combined green power purchases of these organizations amounts to 4 billion kilowatt-hours of green power annually, which is the equivalent amount of electricity needed to power more than 250,000 average American households each year. Learn what it means to purchase Green Power, and how you can earn an AAI Discount by doing so.